Content is what drives the power behind your marketing, which means that it should be integrated into your marketing strategy. When developing content, it’s important to make sure that it’s original, consistent, and genuine. Learn the importance of making your content fit those qualifications and see how PowerObjects incorporates those characteristics with our own unique marketing strategy. Hi, my name’s Jeff and I’m the Director of Marketing here at PowerObjects. Today I’m going to spend a little bit of time talking about the power of content in your marketing strategy. You’ve probably heard the term “content is king.” Which is certainly true, however, it needs to really be an integrated part of your overall marketing strategy. When developing your content strategy, make sure that it’s original, consistent, and genuine. Let me dive deeper into some of these points. There’s a ton of power in original content. Anybody can recycle an old blog post or an old article, but original content will drive and spark new ideas and give inspiration to folks you’re actually looking to reach out to. Not to mention original content will really help with your search engine optimization. What I mean by genuine is that it needs to come from an industry expert or someone internal to your organization that really lives the topic. There’s nothing worse than going to a blog that hasn’t been updated in months. Creating consistency in your content production will keep people coming back for more. Creating great content is just one piece of the puzzle. Knowing your audience and providing it in the format that they’re actually going to consume it in is just as important. If your audience doesn’t have time to read a long white paper, try something shorter, easier to digest like an infographic or short video. Check out some examples of how PowerObjects executes on our marketing strategy. Visit our blog. 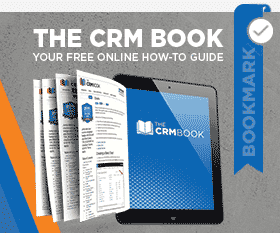 Watch some videos on our Why CRM website, or check out The CRM Book. Thanks for tuning in to The CRM Minute. Learn how Power BI can pull data from multiple sources into a single view and provide interactive insights.